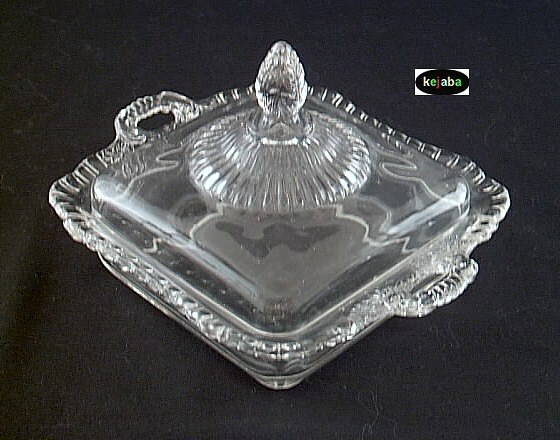 Elegant crystal colored glass honey dish with glass lid in the Gadroon pattern. 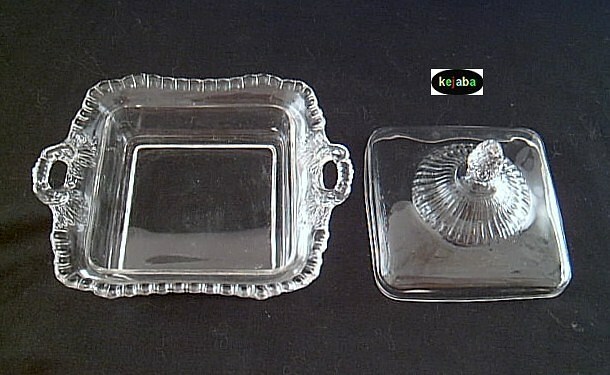 Gadroon (aka as blank 3500) was made by the Cambridge Glass Company in the 1930s. 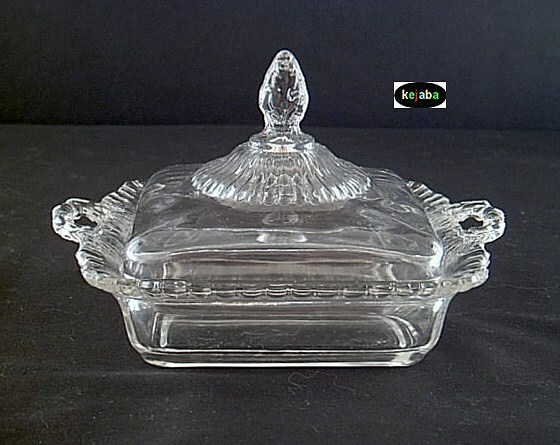 It measures approximately 4 inches tall with lid on, 7 inches across counting the handles and 5 3/4 across not counting the handles. All items available in this listing have no chips, cracks or cloudiness and show little if any signs of usage.